Necessary initiatives have been taken to set up a special economic zone in Rajshahi with the main thrust of elevating economic condition of the people through the best uses of existing agricultural potentialities, officials concerned in Rajshahi said. In order to establish agro-based industries, the zone will be set up on around 205 acres of land in Joykrishnapur, Maria, Balanagar, Bhobanipur and Koira areas under Paba Upazila of the district. The private-owned lands will be purchased at fair prices, BSS reports. 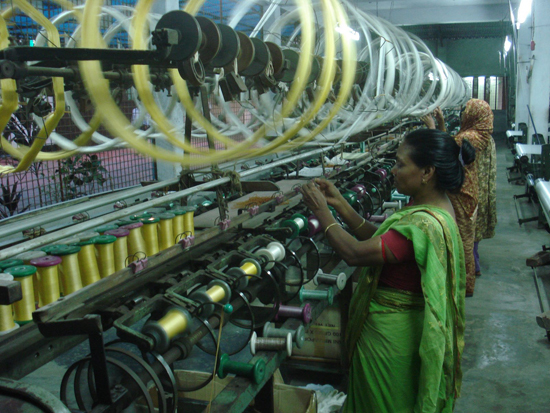 Engineer Azharul Islam, regional director of Bangladesh Small and Cottage Industries Corporation (BSCIC), said small and medium enterprises along with garment factories will be set up in the zone upon successful completion of its necessary process by 2019. Within this time, infrastructure development works will start. Mainly, the foreign investors will be encouraged to invest here, he added. Already, Prime Minister's office and Economic Zone Committee completed the site selection process. Accordingly the district administration submitted the site selection report to the ministry of land. Muniruzzaman Moni, president of Rajshahi Chamber of Commerce and Industry (RCCI), said the zone will obviously generate massive employment scopes besides attracting many investors for establishing industries. Apart from this, he said, foreign investors will be encouraged here side by side with the local ones. Many of the foreign ones have contacted us in this regard. Thereby good relations between the local and foreign investors will build up. By dint of this, economic foundation of the region will be bolstered that will contribute a lot to enhance economic growth. RCCI has requested the authorities concerned to set up small engineering and garment factories in the zone. "We have demanded 20 percent investment scopes for the women entrepreneurs," said the chamber leader Moni. He mentioned that prospects of agro-processing enterprises are bright in the region. He focused on the agricultural potentials of the region with special emphasis on value added agro-processing opportunities and agro-based industries. The RCCI president said, "It could add to the industrialization efforts of agro-based and agro-processing industry in the region for a sustainable and well-formed linkage of production, processing and marketing." Muhammad Ali Sarker, chairman of Zila Parishad, said the region has now been fulfilling 52 percent of the country's total food demand along with supplying 76 percent raw-materials of the country's agro- based industries. "Unfortunately, there is no big industrial unit here," he said. Potato flakes have great international demand and its production technology is relatively simple and labour intensive. Besides, the region alone produces 49 percent of the country's total mangoes and there is an ample opportunity for establishment of mango-based industries here. AHM Khairuzzaman Liton, former mayor of Rajshahi City Corporation, said economic zone is very important for bolstering economic condition of any region along with improving its living and livelihood condition. To this end, political will is very imperative. He says the present government of Prime Minister Sheikh Hasina is very much positive towards strengthening Rajshahi's economic condition through proper utilization of the existing potentialities. He hoped that the new economic zone scheme will be implemented within a shortest possible time.